The second novel from the critically acclaimed New York Times–bestselling author Chang-rae Lee. His remarkable debut novel was called "rapturous" (The New York Times Book Review), "revelatory" (Vogue), and "wholly innovative" (Kirkus Reviews). It was the recipient of six major awards, including the prestigious Hemingway Foundation/PEN award. 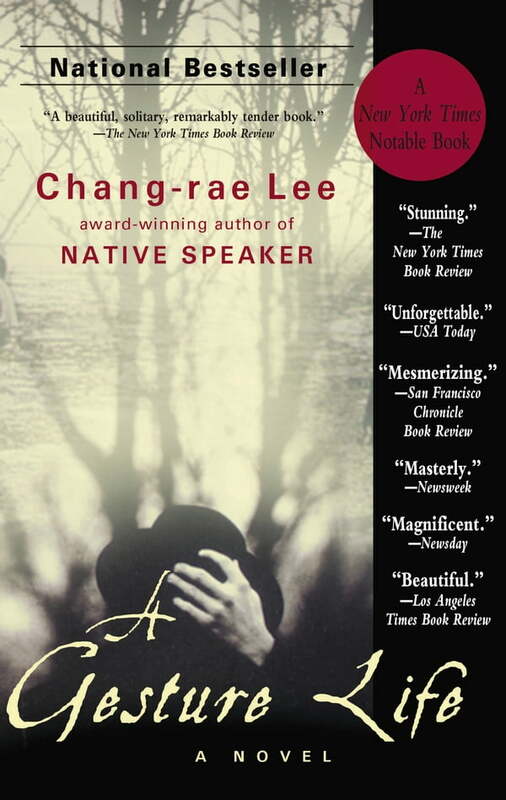 Now Chang-rae Lee has written a powerful and beautifully crafted second novel that leaves no doubt about the extraordinary depth and range of his talent. A Gesture Life is the story of a proper man, an upstanding citizen who has come to epitomize the decorous values of his New York suburban town. Courteous, honest, hardworking, and impenetrable, Franklin Hata, a Japanese man of Korean birth, is careful never to overstep his boundaries and to make his neighbors comfortable in his presence. Yet as his story unfolds, precipitated by the small events surrounding him, we see his life begin to unravel. Gradually we learn the mystery that has shaped the core of his being: his terrible, forbidden love for a young Korean Comfort Woman when he served as a medic in the Japanese army during World War II. In A Gesture Life, Chang-rae Lee leads us with dazzling control through a taut, suspenseful story about love, family, and community—and the secrets we harbor. As in Native Speaker, he writes of the ways outsiders conform in order to survive and the price they pay for doing so. It is a haunting, breathtaking display of talent by an acclaimed young author.